Cute Hello Kitty Diamond Jewelry! Cute Hello Kitty Jewelry for Girls! I just came across the cutest Hello Kitty jewelry for girls! I was browsing the net looking for cute stuff, (as usual), and when I saw that they sold Hello Kitty diamond jewelry I almost fell off my chair! I have always liked Hello Kitty, of course, and I remember having one cute plush doll when I was a child…. Any girl who likes cute and girly stuff (like me) is gonna love these cute Hello Kitty pendants, earrings and rings! *Yes, this is a gorgeous Hello Kitty face (full of diamonds!) ring! How’s that for a beautiful and fun birthday gift idea for your girlfriend or daughter? Guys, if you want to give your girlfriend something really cute and very special, I strongly suggest Hello Kitty diamond jewelry! My Favorite Hello Kitty Rings for Girls! This gold plated Hello Kitty ring is one of the most gorgeous and unique Hello Kitty rings I’ve ever seen! I love the cute and sparkly Swarovski crystal accents on her cute bow! What an awesome gift idea for girly teen daughters or girlfriends! 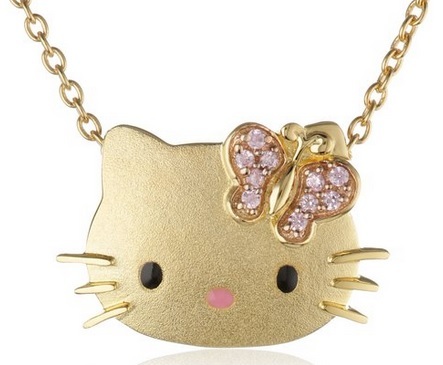 Cute Hello Kitty Face Gold Plated Necklace! How about also getting this beautiful Hello Kitty pendant necklace and creating a ‘set’? 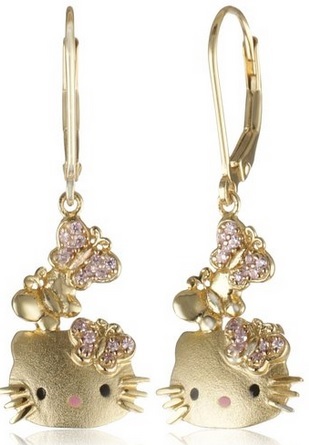 Cute Hello Kitty Gold Plated Back Drop Earrings! 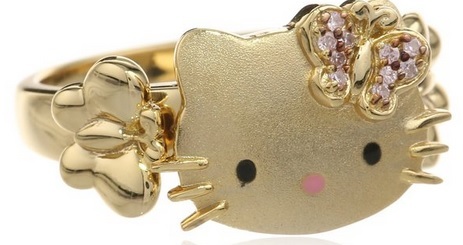 Best Hello Kitty Jewelry Gifts! And finally, to complete your beautiful Hello Kitty jewelry set, add these gorgeous Hello Kitty earrings too! I love the cute and sparkly butterflies full of Swarovski crystals! 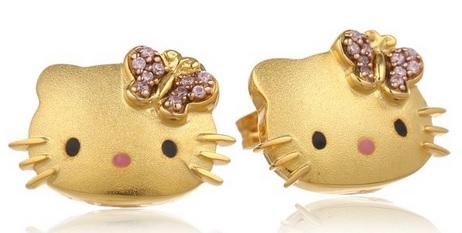 Another variation of the set is by getting these cute Hello Kitty gold plated face stud earrings! They are so adorable and very large too! 18K White Gold Hello Kitty Diamond Pendant! 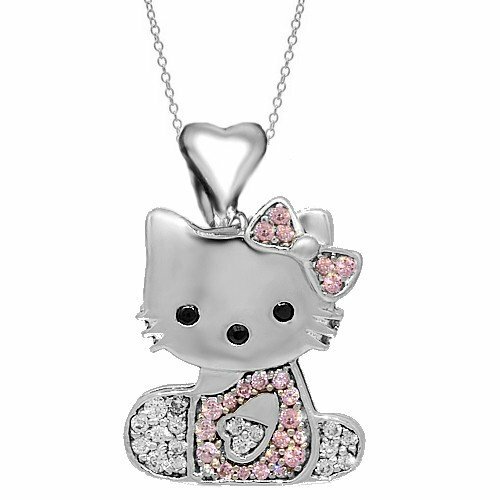 If you are looking for fancy Hello Kitty diamond jewelry gifts for women, I think you are going to like this gorgeous and very unique 18k white gold Hello Kitty pendant paved with white and pink diamonds! I also love the cute heart above her face! 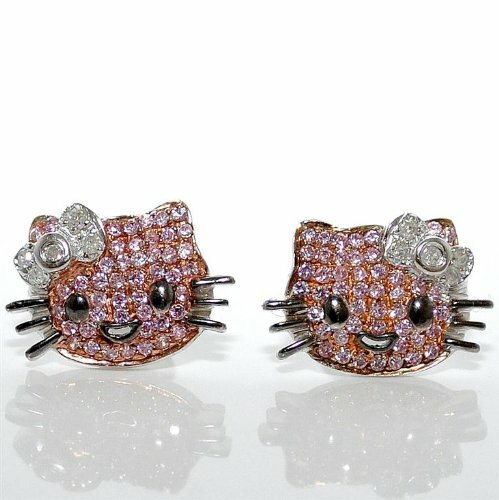 Very Cute 10K White Gold Hello Kitty Pink Sapphires and Diamonds Earrings! How absolutely cute and girly are these Hello Kitty face earrings full of pink sapphires and diamonds? Cutest Hello Kitty Diamond Necklace! 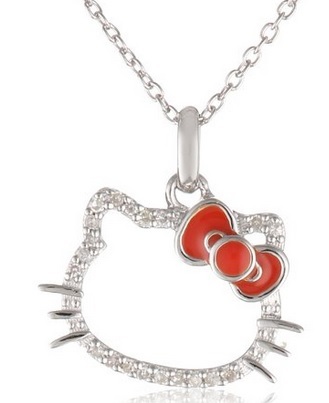 How adorable is this Hello Kitty shaped necklace for sale? I love the cute red enamel bow and the sparkly diamond accents! 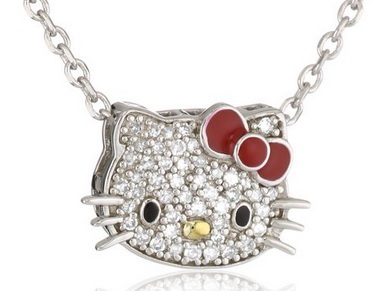 Fun Hello Kitty Face Diamond Necklace! Another one of my favorite Hello Kitty diamond necklaces! Her cute face is paved with sparkly diamonds all over and she is also wearing her cute red enamel bow! 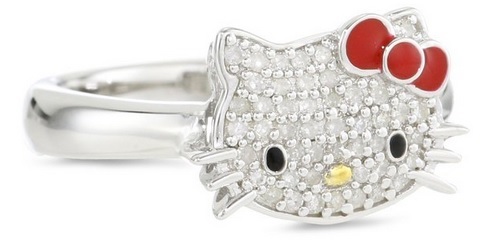 Cutest Hello Kitty Diamond Rings for Sale! 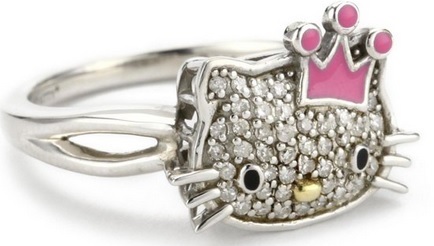 Another cute, girly and sparkly Hello Kitty face diamond ring for girls! She is wearing a beautiful pink enamel crown!